The airport has 1 2850 m (9,350 ft) concrete runway located 5 km from the center of Olgii. The modernized controls and runway meet international safety standards and the terminal is one of only 3 airway ports of entry in Mongolia. Taxis to and from the airport cost 3500 T ($2.50) one way. 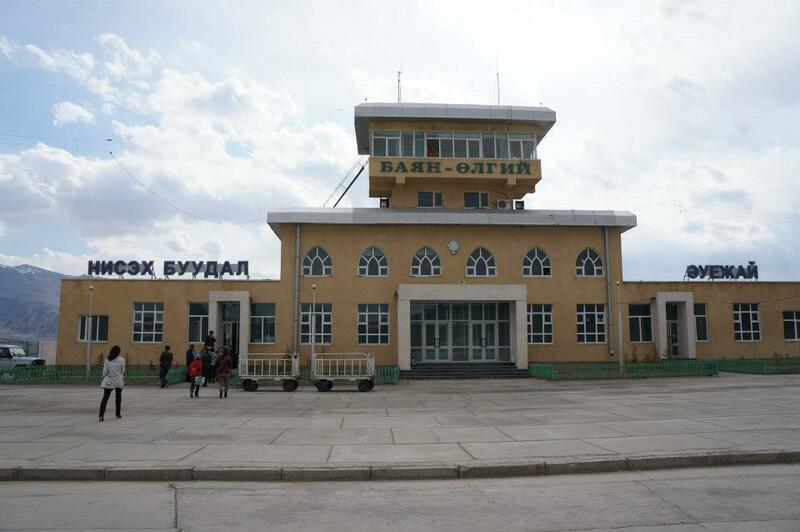 -Flights from Ulaanbaatar with occasional stops in Hovd, Moron (Hovsgul), and Ulaamgov. There is a future international flights to Astana, Kazakhstan. During the summer one or other or both flies each day of the week. -Office located northwest of the square, across the street from the Pamukkale Restaurant. Flights are on Sunday, Monday, Wednesday, and Friday on a 50-seat Embraer Regional Jet and takes 2 hours each way. Has served Olgii since 2003. 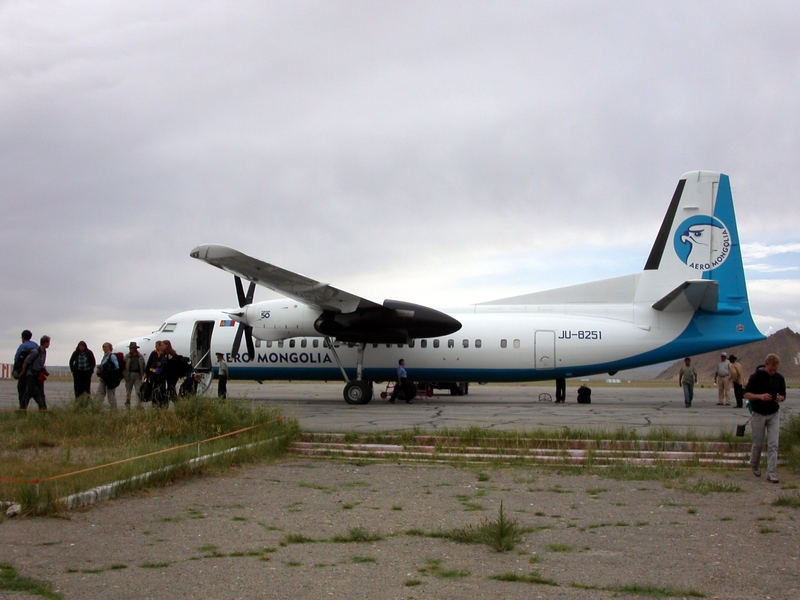 -Flies 50-seat Fokker 50 Turboprop to Olgii 5 days a week with flights for on Monday, Tuesday, Thursday, Saturday, Sunday. Note that both airlines only publish schedules for the next 3 months and times and dates are subject to change.